Welcome to Episode 174 of Gun Guy Radio! This is the podcast that shines a positive light on the firearms lifestyle. I’m Your host Ryan Michad and this is your weekly dose of positive firearms talk, without the politics. This week, I’m joined by John from Active Self Protection to discuss his work analyzing what happens during a violent encounter and what lessons we can learn and apply to our own defensive plans. Also check out the Huckleberry Patch from the Patriot Patch Company! Welcome John, its great to have you on the show!! This past week, I got ahold of a Steyr C9-A1 so I will be testing that in the near future. Stay tuned to the Handgun Radio facebook page and the firearmsradio.tv page as well! With that, we will head into the main topic, the dynamics of a violent encounter with Active Self Protection! 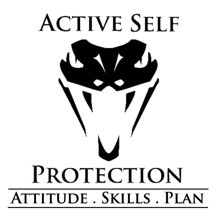 If you aren’t already aware of the Active Self Protection (ASP) facebook page, you should be. Over there, John creates his own video breakdowns of violent encounters that have been captured on some sort of camera, and shows the realities of what can happen during a violent encounter. It isn’t pretty. It isn’t some Hollywood gunfight where everyone gets a chance to get to cover and they shoot it out from a distance. Oftentimes, its up close and messy. First, when did you start ASP and what motivated you to start it? Have you noticed a recent uptick in followers and people inquiring about things due to recent events? What are some of the most common misconceptions you hear from people regarding violent encounters? We all make mistakes, but some mistakes can be so serious they cost us our life. What are some common “tactical” errors you’ve seen when studying violent encounters that caused the person to be behind the curve in terms of an effective response? We hear a lot of people choosing to go with a less-lethal option sometimes such as pepper spray or a taser. In your experience, what sort of effectiveness have you seen when people use these implements? In your opinion, what is the most important part of a self-defense plan/attitude? One thing I have stressed to people who say they want to start carrying a firearm is “if you had to defend yourself, would you be willing to pull the trigger on another human being”? It’s a grisly reality, but if you don’t think you’d be able to do that, you may end up in a worse situation, perhaps becoming overpowered & disarmed. Do you see a lot of psychological factors that can hinder a proper defensive response? What are some of the most important lessons you’ve taken away from the video series you do on the ASP facebook page? What is your idea of a good defensive setup? Where can people find more information about ASP and follow you? Thanks John so much for coming on the show! I really appreciate it!